Which disc-burning app should you trust with your data? Back in the day, a custom audio CD with the best love songs made a wonderful Valentine's Day gift. Now she'd hardly be impressed. You'd need to throw in the holiday videos and make sure it works on the high definition plasma to sweep her off her feet. That might sound like a lot of work, but it's a job you can get done with almost any Linux CD/DVD burning app. That's because most writing apps are equally capable of putting data on optical media as they are at retrieving it. And some apps don't just do brute force ripping – they also have decent transcoding abilities and give you quite a bit of control over the end result. In addition to normal CDs and DVDs, almost all apps can handle rewriteable (RW) and dual-layer double-capacity versions. Although high-capacity discs and their respective Blu-ray and HD DVD drives aren't very common, if you own one, you can find at least a couple of applications for Linux that will put it to good use. Since all distros come with a disc burning app, they get a lot of attention to make sure they integrate into their native environment and don't look out of place. 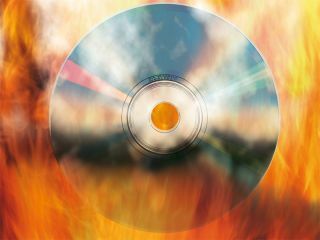 When you put in a blank CD, the burner should pick it up and ask you what kind of data you'd like to burn. Yet despite all the glitz, the same age-old tools are chugging away at the back-end, giving the front-end apps approximately equal powers. So, how do the various disc burning apps stack up against each other and which one should you trust with your data? Let's spin 'em up and find out.